The Orne Estuary is located within the Calvados department and constitutes an outstanding natural environment in constant evolution. The interaction between the river and the sea has multiplied habitats and landscapes (dune cordons, mudflats, brackish wetlands, wet meadows, saltmarsh, reedbeds) which enhance biodiversity. The estuary offers a very wide ornithological diversity, with more than 207 species having been recorded. More than 280 plant species have been identified, including very rare species for Normandy (Field garlic, tassel hyacinth, grass lily). 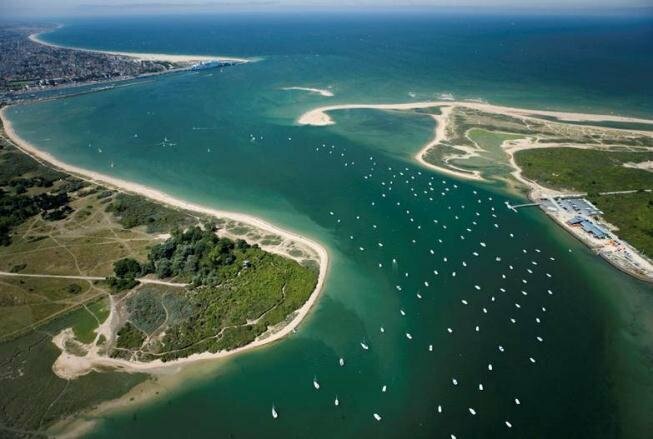 The Orne Estuary is heavily influenced by human activities: the river is canalised and there are plans to expand the Port of Ouistreham, which is a major economic asset. Recreational activities are growing (hiking, kite-surfing, sailing, walking) whichare also very popular in the estuary. Although they are localised, they often generate a strong pressure on the natural environment and drive new infrastructure. The Orne Estuary is faced with a number of issues, both environmentally and economically, in light of the risk of coastal erosion and changes in land use. Major issues for the management of the environment are linked to the impact of new proposals (ferry terminal, marina). Issues with regard to land use need to be considered at a macro-scale for attractiveness of the area and potential conflicts of interest. 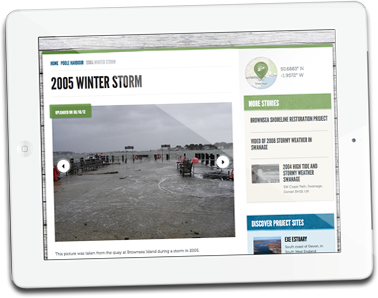 In addition, because of its geographical location, it is intended that this site will be used to raise awareness on climate change amongst the wider public. The interpretation plan must integrate this raising awareness aspect. The historical data available for this site will be used in conjunction with the results of the complementary studies (topographical and socio-economic studies, monitoring of avifauna, benthos and terrestrial habitats). All of these data will be used to develop communication and monitoring tools (response indicators). LiCCo will build on the existing network of stakeholders, in coordination with Ports NormandsAssociés (PNA) and members of the Conservatoire du Littoral’s management committee. LiCCo will link with ongoing studies and initiatives in the area; the update of the site management plan by the Conservatoire du Littoral, the Natura 2000 targets documents recently completed, the “Pêche à Pied”shellfish pickingproject led by the Conservatoire du Littoral in partnership with the Ile d’OléronDéveloppement Durable Environnement (IODDE) associations and Vivarmor Nature, as well as the interpretation plan led by the SyndicatMixte Calvados Littoral EspacesNaturels.